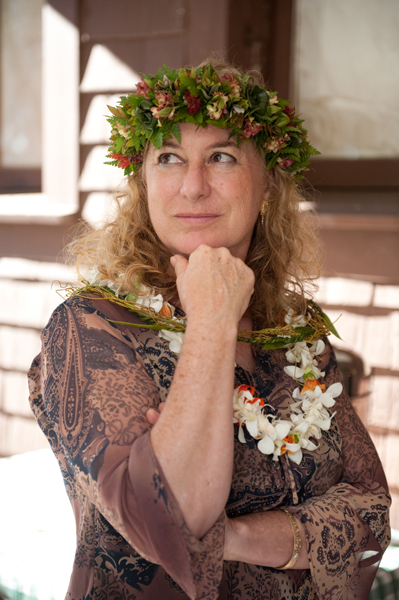 Stephanie Ross earned her BA at California College of Arts and Crafts and her graduate degrees from the University of Hawai’i, Manoa. 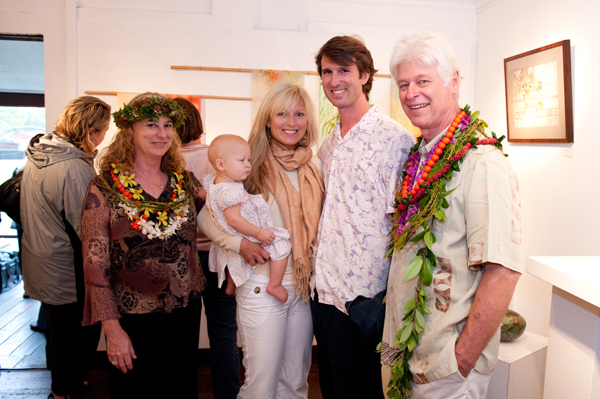 She has taught art to high school and elementary students since 1975. 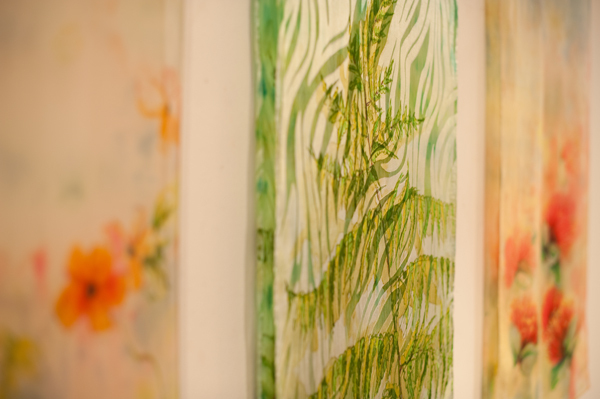 In 1997 she opened her own studio where she has created her own works on fabric and taught privately. 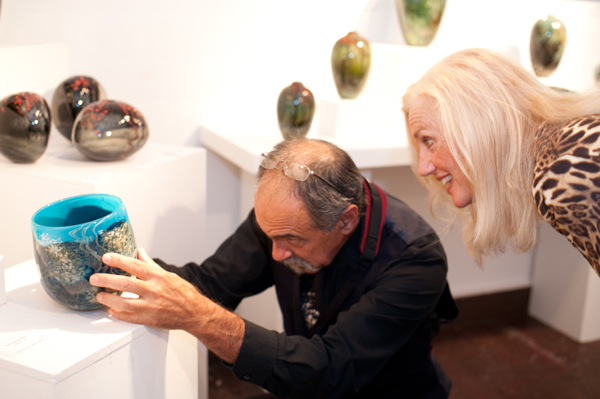 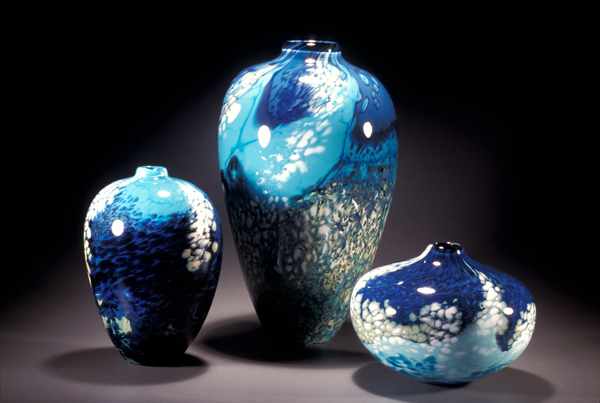 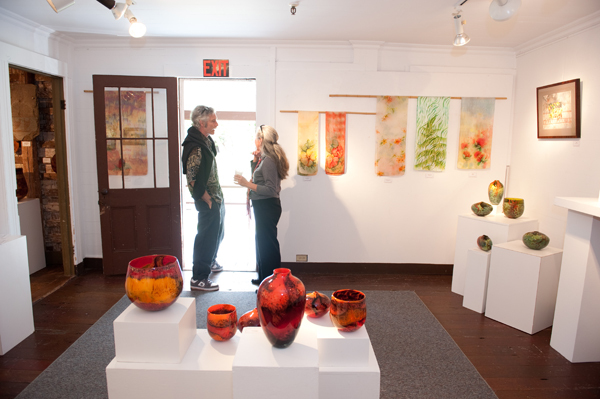 Stephanie was introduced to glass in 1995 and has worked in collaboration with her husband Hugh Jenkins since 1996. 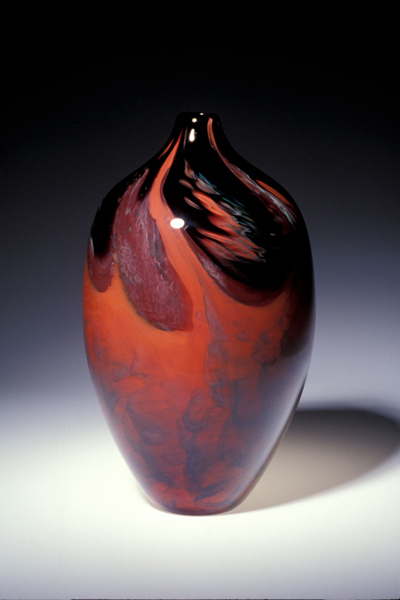 Hugh Jenkins has worked in glass since 1969. 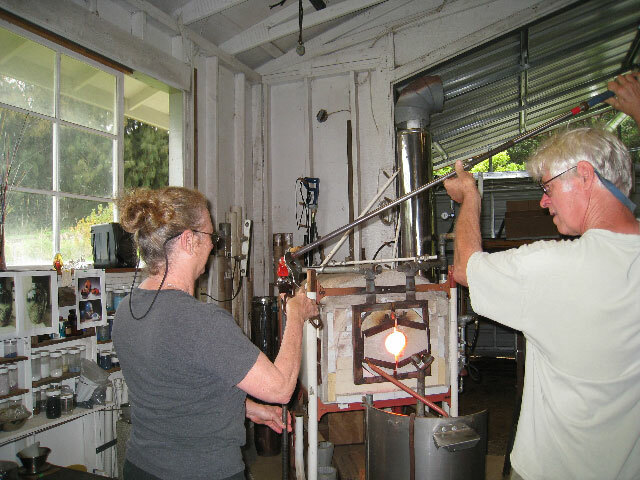 He got his first introduction to glass blowing and the Foundry in Honolulu. 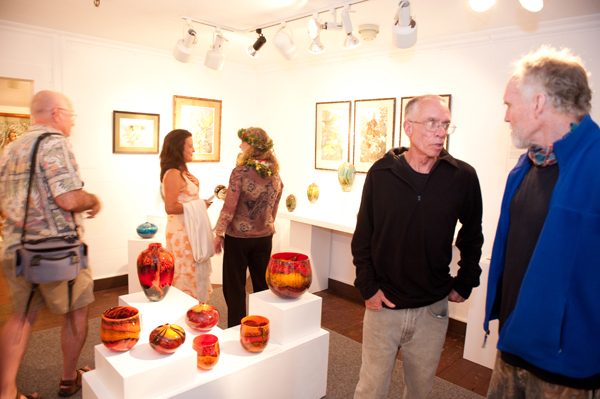 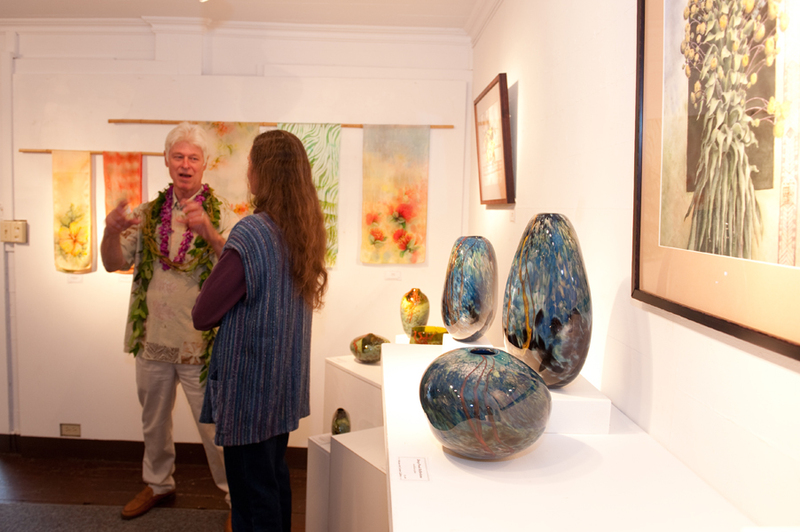 He brought glass blowing into the Punahou School art department in 1972 and continued to teach there until 1998. 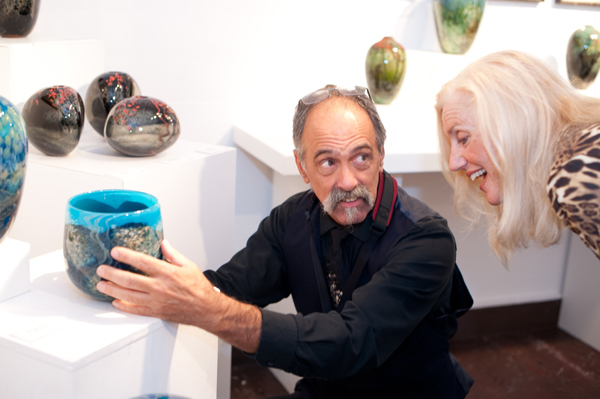 During summers and sabbatical leaves, he has also taught at Penland School of Crafts in North Carolina. Most recently, Hugh has focused on energy efficiency and alternate and sustainable fuels for glass and other fire arts. 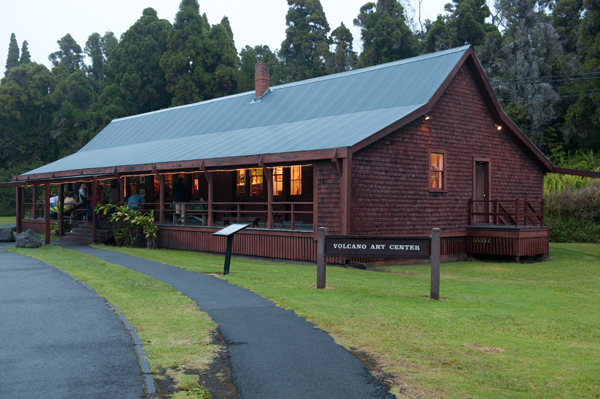 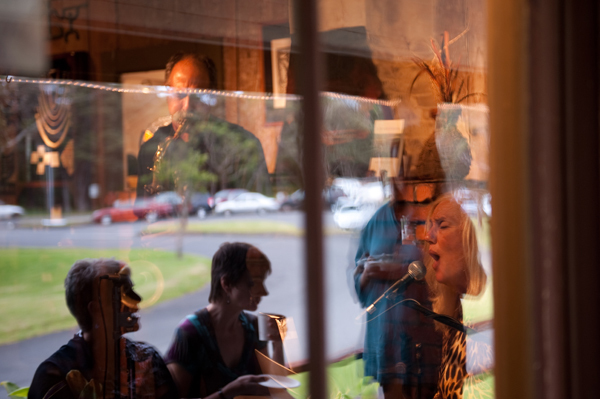 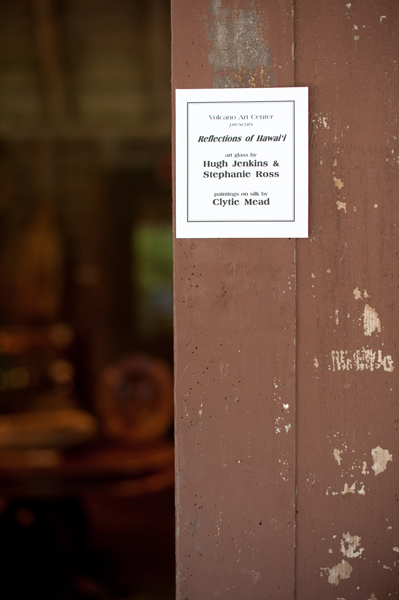 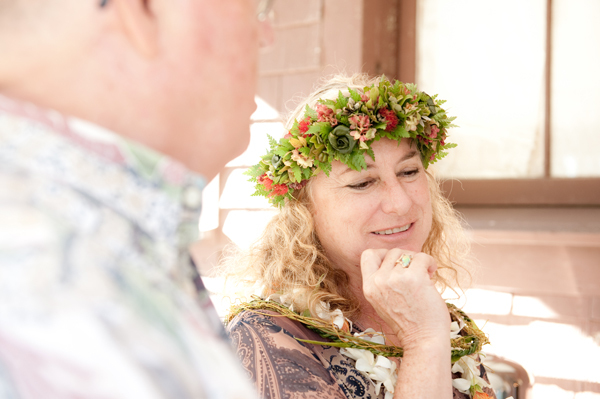 Since 2001 Hugh and Stephanie have lived in Honoka’a on the Big Island where they have created their own studio and gallery. 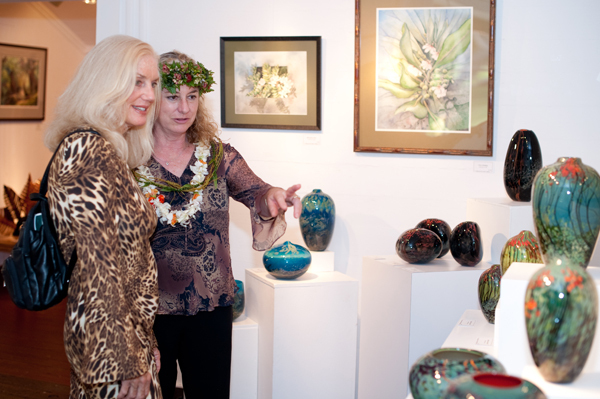 They work in a close collaboration on glass pieces in direct response to the Big Island, depicting their impressions of the volcano, forest, ocean and widely varying climate and environment.